Stephanie Bradberry is an educator herbalist, naturopath, and energy healer. She loves all things natural and the beauty of nature. As an avid, but amateur, birdwatcher, there is always a thrill when the opportunity to add a great picture to the album arises. This is especially true since I work hard feeding the birds and doing whatever I can to attract them so my husband can take the picture. However, not every picture can make the cut. This was the case with a seemingly perfect picture of a male and female American Goldfinch. Conjunctivitis, known as avian conjunctivitis and Mycoplasmal conjunctivitis for birds, is a disease caused by a parasitic bacterium. Our male goldfinch had the typical symptoms of red, swollen, watery or crusty eyes. As the disease progresses, the eye(s) can swell shut or crust over leaving the bird blind. Infected birds have trouble feeding because they cannot see. But, the symptoms seemed odd, considering conjunctivitis is a respiratory infection. Clearly, the bird was breathing. And, the disease is commonly found in House Finches, not American Goldfinches. I had to look up more information about the disease. The spread of avian conjunctivitis was first noticed in 1994 when House Finches—with the symptoms listed above—were seen at feeders in the Washington, D.C. area. Until the 1940s, House Finches were only found in western North America and Mexico. In 1941, the birds were sold illegally in a New York pet store as “Hollywood Finches.” Knowing that the authorities were coming to inspect his shop, the Brooklyn shop owner set the birds free. They bred successfully in the wild. But, with so few birds to populate the species in the east, the birds became highly inbred. And inbred species tend to become susceptible to more health and physical problems. 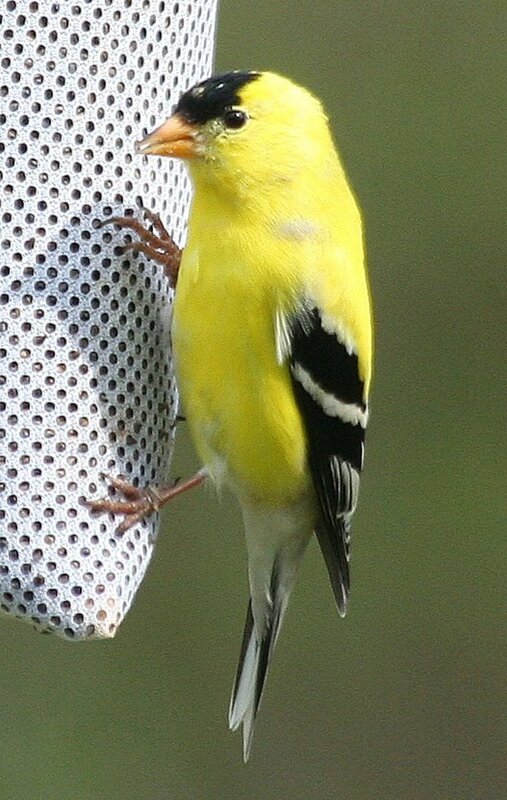 So why was a male American Goldfinch in a central New Jersey backyard infected? American Goldfinches are part of the same family as House Finches, Fringillidae. Purple Finches, Evening Grosbeaks and Pine Grosbeaks have been known to contract conjunctivitis. This is no surprise since they are also in the same family, but it is extremely rare. But studies do show an increase in the amount of infected songbirds. Because we get many species of birds in our backyard, I did not want the other birds to become infected. All I could think about was the faithful female goldfinch in our picture becoming as sick as her mate. I needed to know what to do. The best defense against infection is to disinfect. Cleaning feeders with one (1) part bleach to nine (9) parts water will sanitize the feeder. Let them dry before re-hanging in the yard. Another way to prevent the spread of infection is to rake under feeders to remove potentially contaminated seeds, shells, and bird droppings. Handling feeders after an infected bird has fed on it is not a problem, as this strain of the disease does not affect humans. Sometimes people are confused because humans do get a form of conjunctivitis, pink eye. However, avian conjunctivitis cannot be transmitted to humans. You can also be part of the bird watching survey for Cornell University and report infected birds. 3. The Cornell Lab of Ornithology. “House Finch.” All About Birds. Cornell University, 2011. Crosby, Stephanie Bradberry. American Goldfinches: Avian Conjunctivitis. HubPages, 2011. Web. Today’s date. Crosby, S. B. (2016). American goldfinches: Avian conjunctivitis. 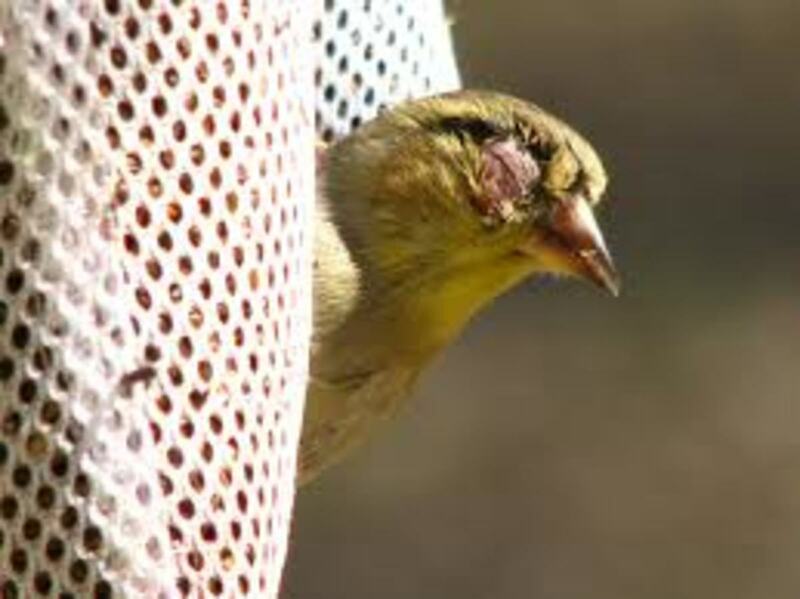 Retrieved from http://www.hubpages.com/hub/American-Goldfinches-Avian-Conjunctivitis. My goldfinch has an eye disease. Will it die? Without treatment, your goldfinch will die because it will have trouble seeing and finding food. Am I making the spread and transmission of conjunctivitis worse by keeping backyard feeders? Yes and no. It is important to track if you notice any infected birds. If you notice them it would be a good idea to routinely disinfect your feeders. Thanks for writing about this, Stephanie. We are saddened to see several of our South Jersey goldfinches affected this year, after seeing just one in 2016. I was somewhat surprised to see the shot of an American Goldfinch with conjuctivitis in this article. It's my shot, taken on March 17, 2008 at one of my backyard feeders, and I did not receive a request for permission to use this shot! Several years ago, I allowed the Audubon Society of California to use it, but I believe that's the only time I allowed it. I did not know there were centers like this in NJ that would help rehabilitate a bird with conjunctivitis. This is awesome news to me. Thank you for your article. 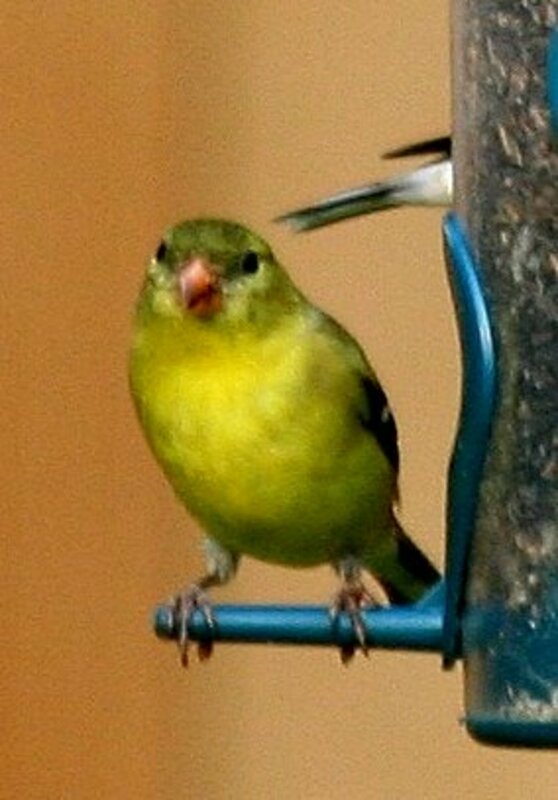 I am in South Jersey and found a female goldfinch with Conjunctivitis. I had no idea what was wrong with it. A wildlife rehabilitate is caring for it and administering oral antibiotics hoping it will cure it. Some lovely birds. I am not too good at taking care of animals but I am glad someone is! Thanks for stopping by. It is fun when you get to see birds fairly up close and personal. We only got to see a Baltimore oriole once in our yard. It was literally there one minute and gone the next. I read about them in my bird books and cut an orange in half and tacked it to the tree it was at to try to coax it back to our yard. No luck though. We have cardinals year round, and it is actually the mascot for a lot of schools in my area. They are most beautiful during mating season. Thanks for reading! Thanks for so many information Ina relatively short article. Watching and feeding birds is least to say quite rewarding pastime. Mine feeder hangs roughly 4 feet away from the pedio dor on 2nd floor deck area, giving me a pleasant view to be part of their fellowship in looking at each other. American Goldfinches come to the feeder mostly when the sparrows and House finches leave. It's a pleasure to read your pleasantly composed writing. Hello Movie Master. Thank you for the wonderful comments and feedback. I never heard of the condition either until we heard back from the discussion board. So far so good though, no more birds have shown up since then with the condition. Hi Stephanie, a very nice article with interesting and useful information. What beautiful birds - I had never heard of this condition before. I enjoyed reading, thank you and voted up. Hi daisynicolas. My heart really did break when I learned the probably fate of the pair. Right now I am looking out my front window at the sock feeder and all the goldfinches and house finches eating. I keep watching to make sure there are no infected birds. Thanks for reading. Thanks for making us aware of this condition. Educational and clear to understand with a lot of empathy. Hello grandmapearl. Thanks for your response to my article. 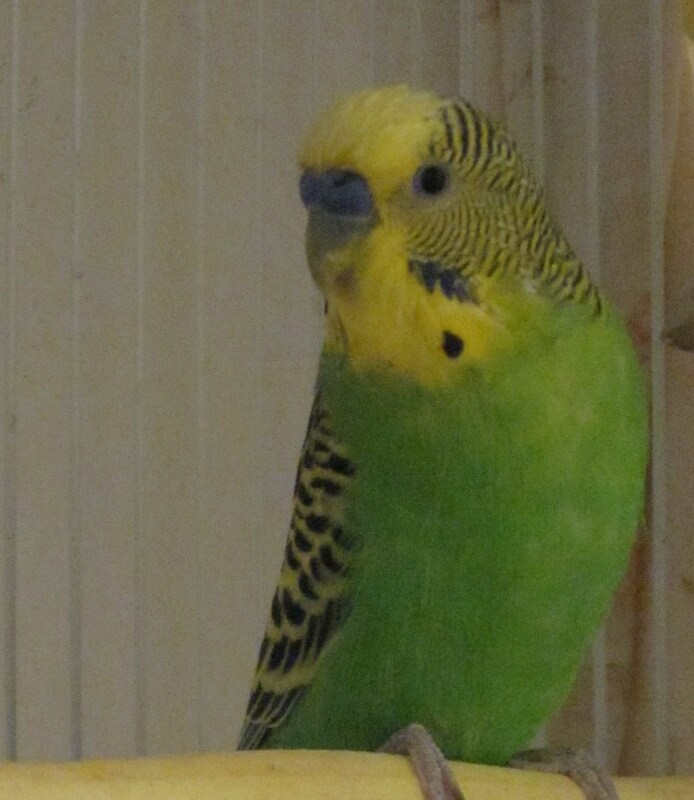 My heart really broke once I found out what the fate was going to be for this beautiful bird, and other finches. I also hope the recent findings from CLO are accurate. It is sad. Now every time I see a goldfinch I always wonder in the back of my mind that if I look closer will it be an infected bird. 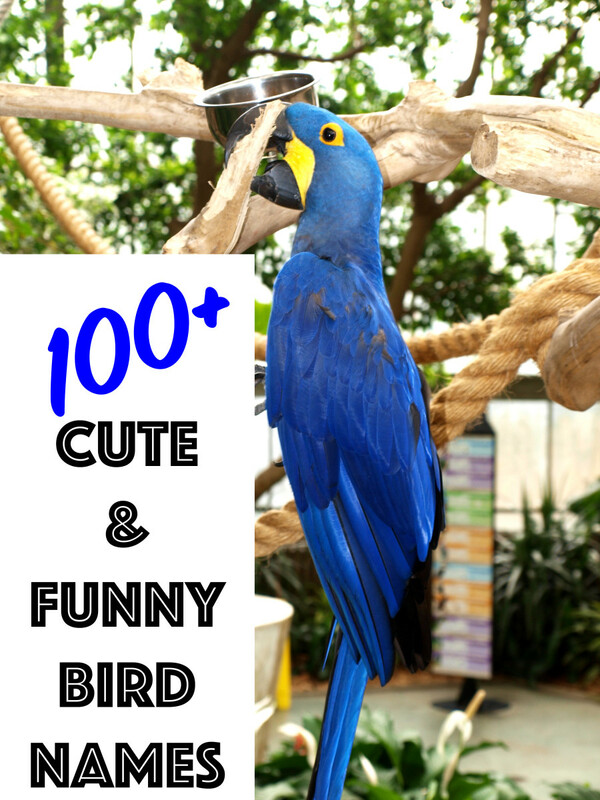 Very interesting info regarding these beautiful little birds. I didn't know anything about them. I'm sorry for the poor little guy, so sad! Paradise7, thank you. I know, I felt really bad once I knew the end was near for such a lovely bird. 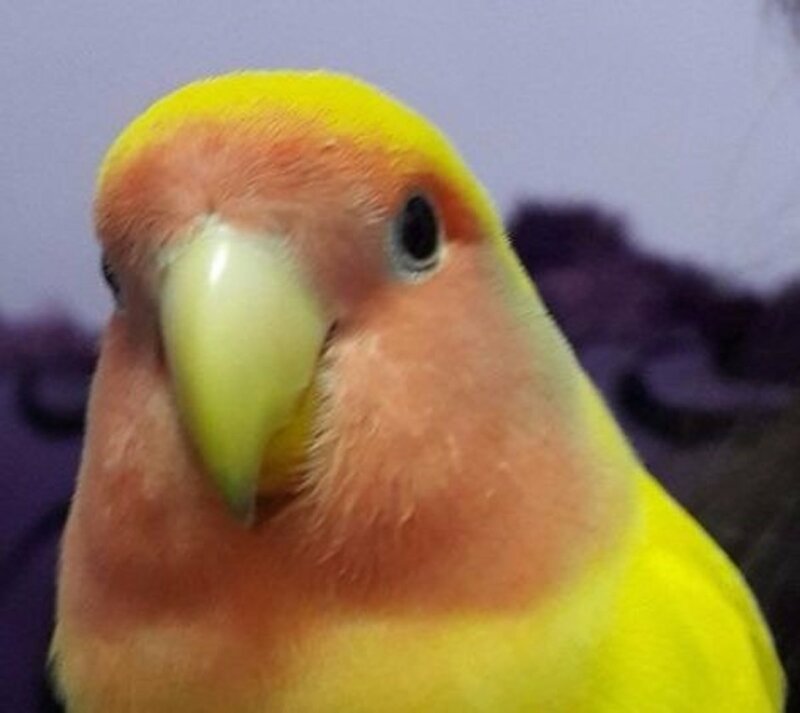 ColibriPhoto, thanks so much. I cannot take all the credit for the photography. Usually I just yell for my husband to get the camera. I just make the birds happy so they will keep coming back. Good info on the finches. Poor thing! Nice article with good information. It is one thing to like birds, it is another to care about them. When you care it is reflected in your photography and your life. Keep up the good work.